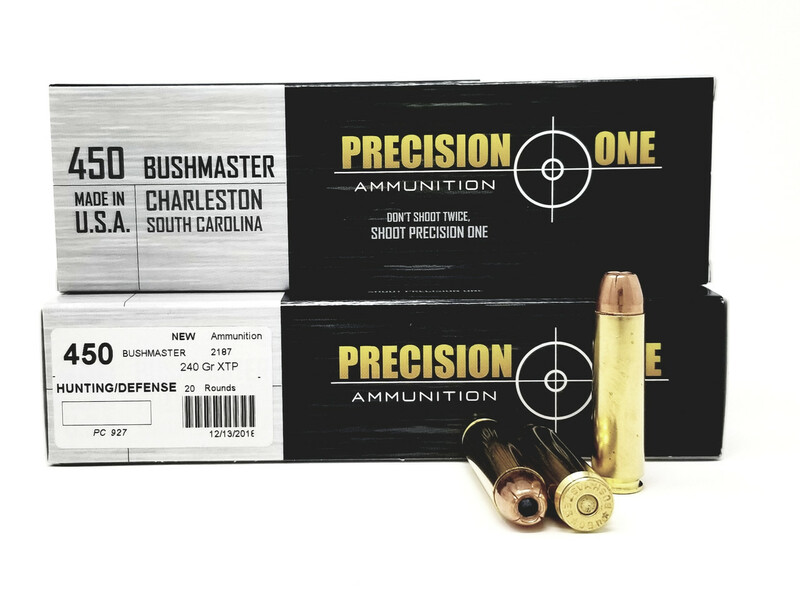 450 Bushmaster rifle ammunition is in stock and ready to ship. We sell all sort of rifle ammunition and all the ammunition displayed in our site is in stock. In the terms of quantity, we sell ammunition by box and case quantity. We also provide free shipping facility for our customers. We never take order for a product which is unavailable or out of stock. We sell best quality ammunition for target shooting, plinking& personal protection. We give you easy and secure checkout process. Our main objective is to give you best services in terms of product and packaging services.